As a member of the Telecom Infra Project (TIP), Facebook and Orange launches new Orange Fab France “Telecom Track” accelerator specifically designed to support startups focused on network infrastructure development. Selected startups to be mentored through Orange with access to its global network of resources, and support from TIP Ecosystem Accelerator Centres (TEAC) and Facebook. Orange is working with TIP* and Facebook to support startups focused on network infrastructure innovation by launching a new “Telecom Track” as part of its Orange Fab accelerator programme in France. This partnership will look to pursue the best innovations and talent within the sector, and provide startups with support and counsel from experts at Orange, TIP and Facebook – while facilitating networking and internal and external investment opportunities. The project will be managed through Orange Fab France, Orange’s accelerator programme for startups at Orange Gardens, an eco-campus in Paris devoted completely to research and innovation. Engaging directly with leading experts from within Orange and its partners, startups will be able to work with the Group on tackling a number of network-related issues, ranging from network management to new access technologies, across a number of regions. The startups will receive all of the current benefits as part of the existing Orange Fab programme, in which they will participate in dedicated workshops, mentoring sessions with experienced specialists, receive an optional €15,000 in funding, and have access to work space at the Orange Gardens, where the Group’s research and innovation teams are based. In addition to drawing upon the global Orange Fab network, the startups will have access to experts from the TIP community, TEAC, and Facebook. This framework will help them connect to innovation teams, investment partners, and venture capitalists who can provide additional expertise and potential funding in order to launch new products and services. In order to further accelerate the scaling of the participating startups, Orange Digital Ventures will support this new “Telecom Track” and provide fundraising guidance and Venture Capital networking opportunities through its investors alliances. Orange Digital Ventures is already actively contributing to transforming the Telecom landscape through its portfolio of investments, and will potentially invest in the participating startups. 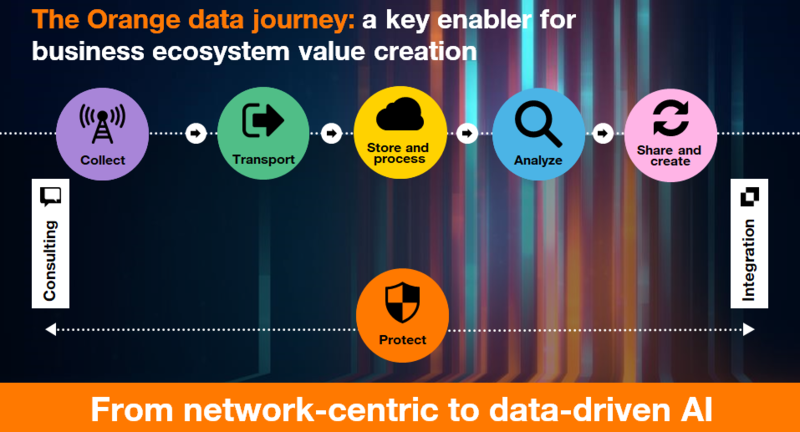 *Orange is part of the Telecom Infra Project (TIP), a global engineering focused initiative that aims to transform the traditional approach to building and deploying telecoms network infrastructure.